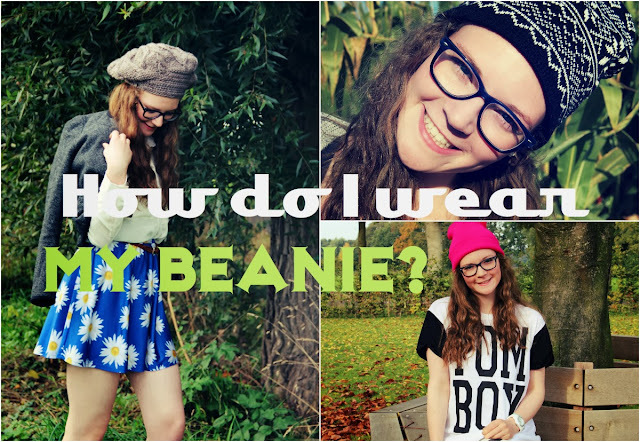 Fashion Anna: How to wear a beanie? Different styles! How to wear a beanie? Different styles! Today I have another video! I will tell you all about beanies, I will show you some outfit ideas, how to do your hair, it's all-round! I hope you will enjoy! Btw, I got almost all the beanies from the Action. I think it's only in the Netherlands and Belgium. If you would like me to do a give away with some of their stuff, just let me know! Very nice video doll. Come over and visit. I've been obsessed with beanies recently! Need to find a new place to buy some. Leuk! :). Ik vind je beanies ook erg mooi. This was so adorable, the beanie really suits you!Have a fabulous weekend sweety! ah, this is such a cool video! i love the gray beanie! Heel erg leuk en handig filmpje! De outfits vind ik ook allemaal erg leuk, maar mijn favoriet is de eerste. Leuk filmpje en outfits! Ik merk het zelf ook vaak; dat een beanie een vriendin geweldig staat en bij mij juist niet. I love beanies...my favorite trend! prachtige foto's en die fel roze vind ik echt helemaal top!